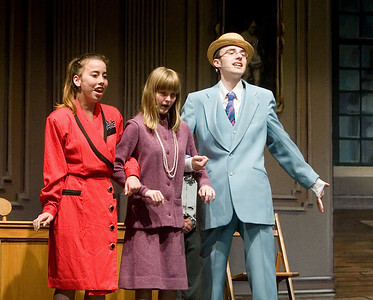 What a fantastic production! 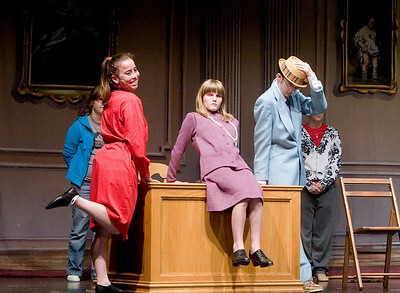 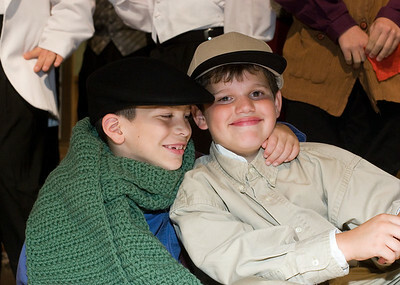 Here are photos from "Annie Jr." at Sycamore High School. 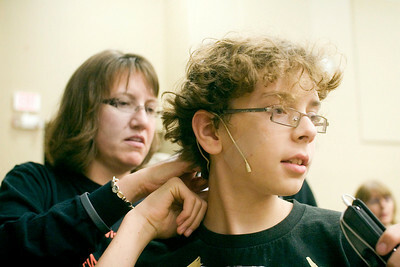 Tracey Busby, director of the play "Annie Jr.", places a wireless microphone on performer Jacob Ihm prior to a rehearsal of the performance at Sycamore High School on Thursday, September 16, 2010. 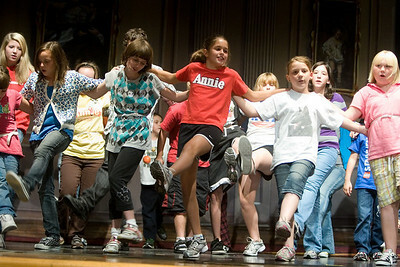 Shaelyn West, 10, at the rehearsal of the performance "Annie Jr." at Sycamore High School on Thursday, September 16, 2010. 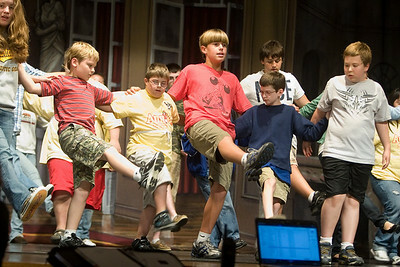 Performers on stage during a rehearsal for the play "Annie Jr." at Sycamore High School on Thursday, September 16, 2010. 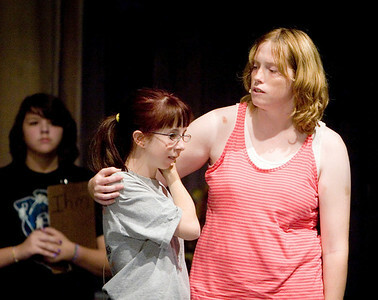 Jennifer Busby (left) as Annie and Ashley Stanbery as Grace rehearse the play "Annie Jr." at Sycamore High School on Thursday, September 16, 2010. 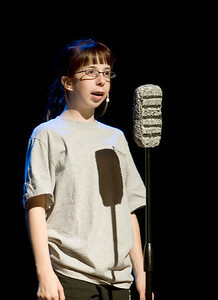 Jennifer Busby, 15, performs on stage as Annie during a rehearsal for the play "Annie Jr." at Sycamore High School on Thursday, September 16, 2010. 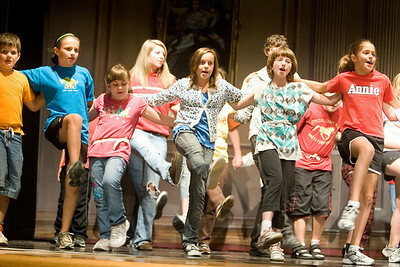 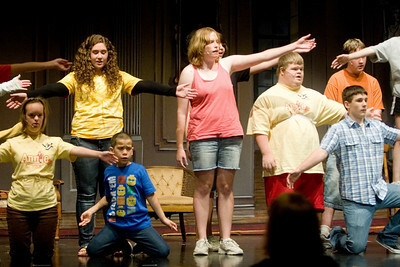 Performers rehearse for the play "Annie Jr." at Sycamore High School on Thursday, September 16, 2010. 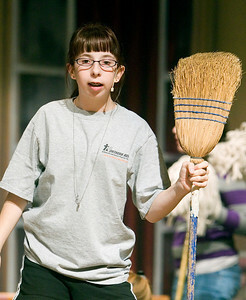 Jennifer Busby as Annie rehearses the play "Annie Jr." at Sycamore High School on Thursday, September 16, 2010. 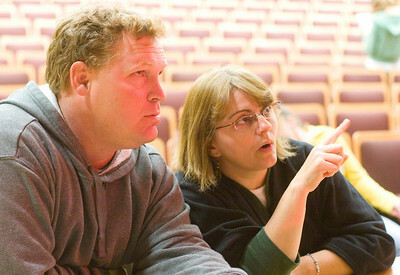 Stage manager Scott Montavon (left) and director Tracey Busby discuss stage design prior to a rehearsal of the play "Annie Jr." at Sycamore High School on Thursday, September 16, 2010. 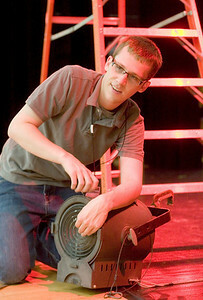 David Olson, theater director for Sycamore High School and a 2008 SHS graduate, makes adjustments to a stage light prior to a rehearsal of "Annie Jr." on Thursday, September 16, 2010. 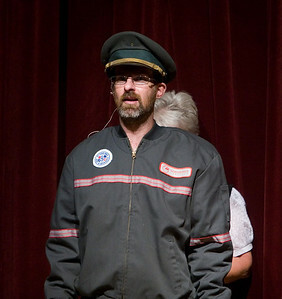 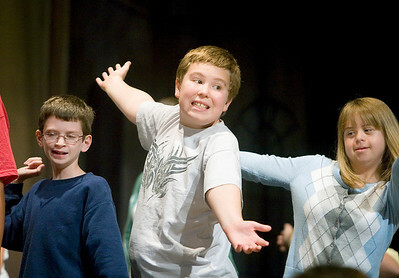 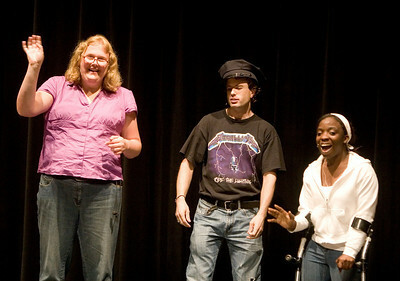 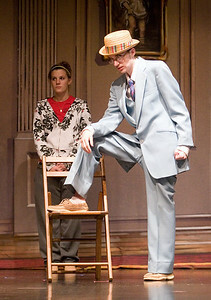 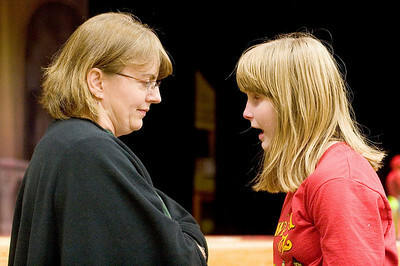 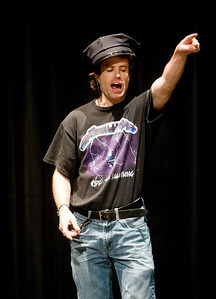 Tracey Busby, director of the play "Annie Jr.", with a performer prior to a rehearsal of the performance at Sycamore High School on Thursday, September 16, 2010. 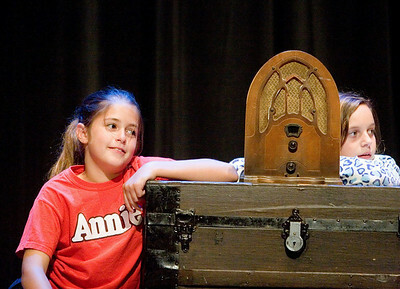 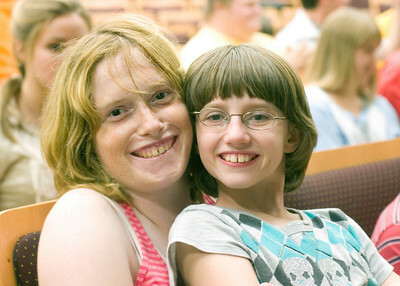 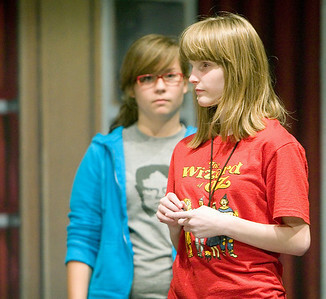 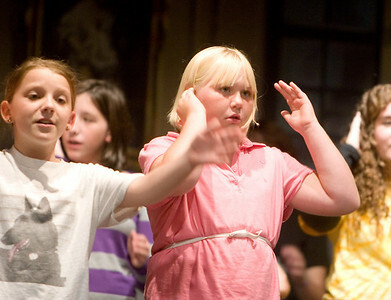 Ashley Stanbery (left) and Shaelyn West prior to a rehearsal of the play "Annie Jr." at Sycamore High School on Thursday, September 16, 2010.